These silks have been made at the Northern centre for cancer care. (NCCC). 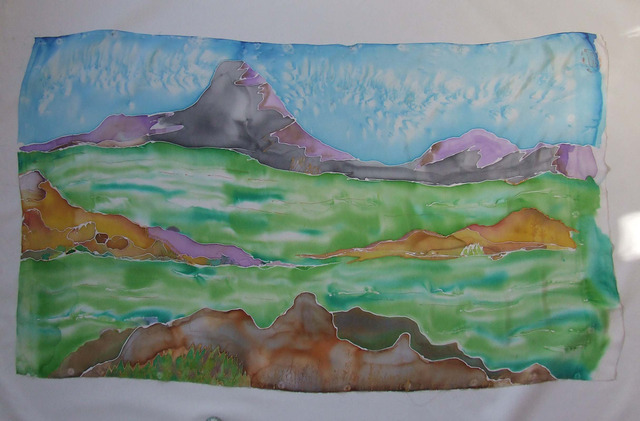 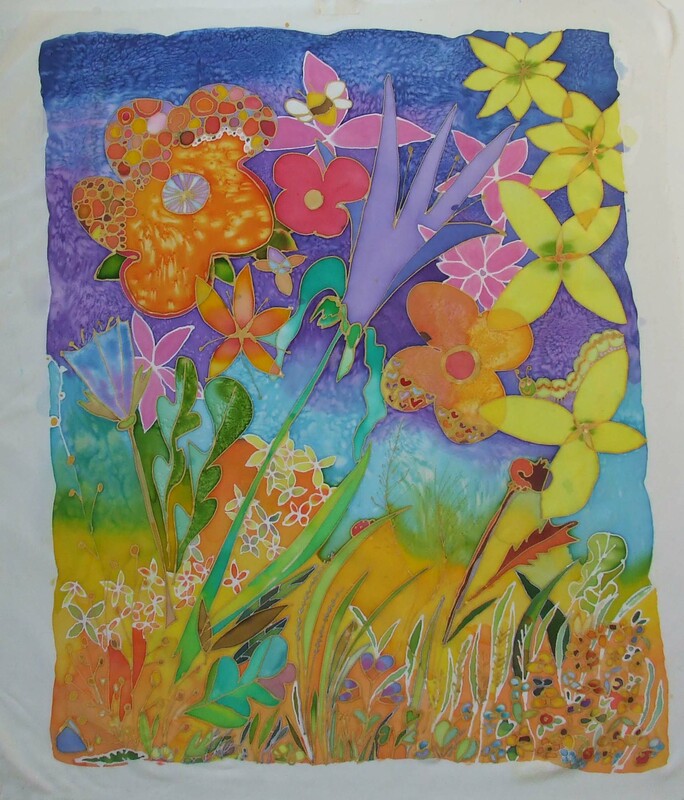 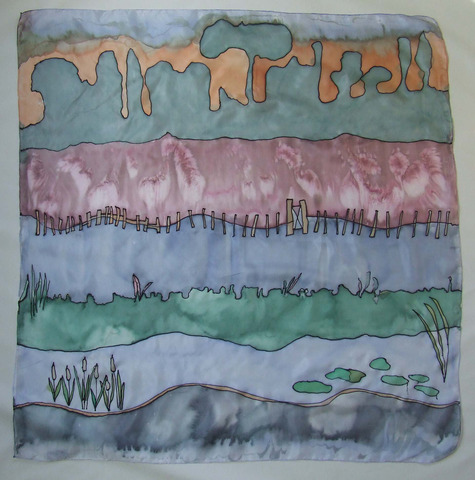 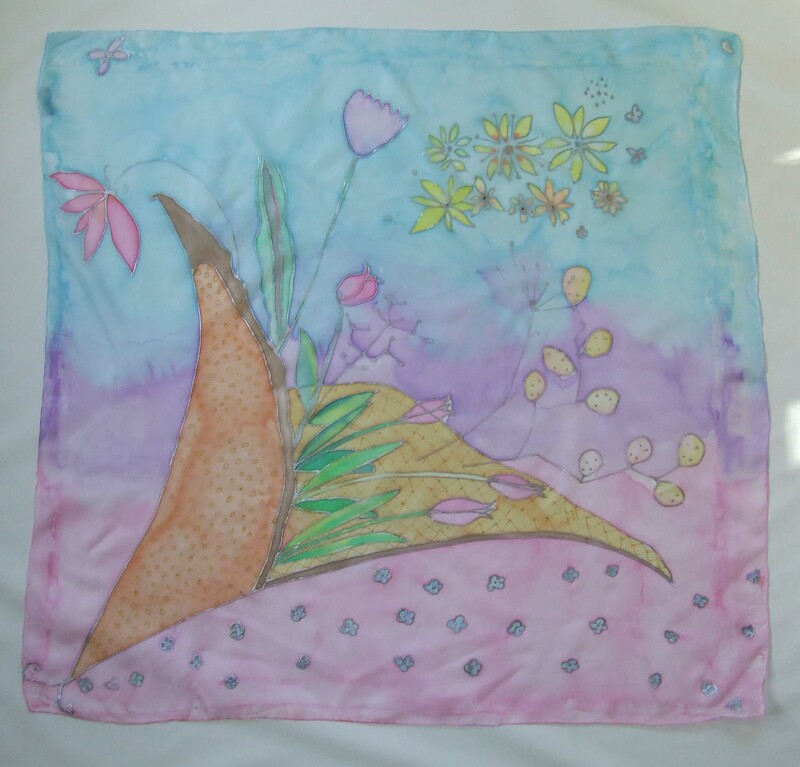 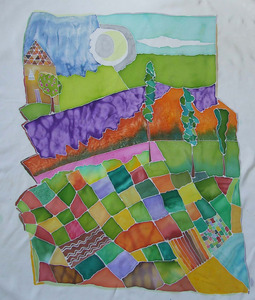 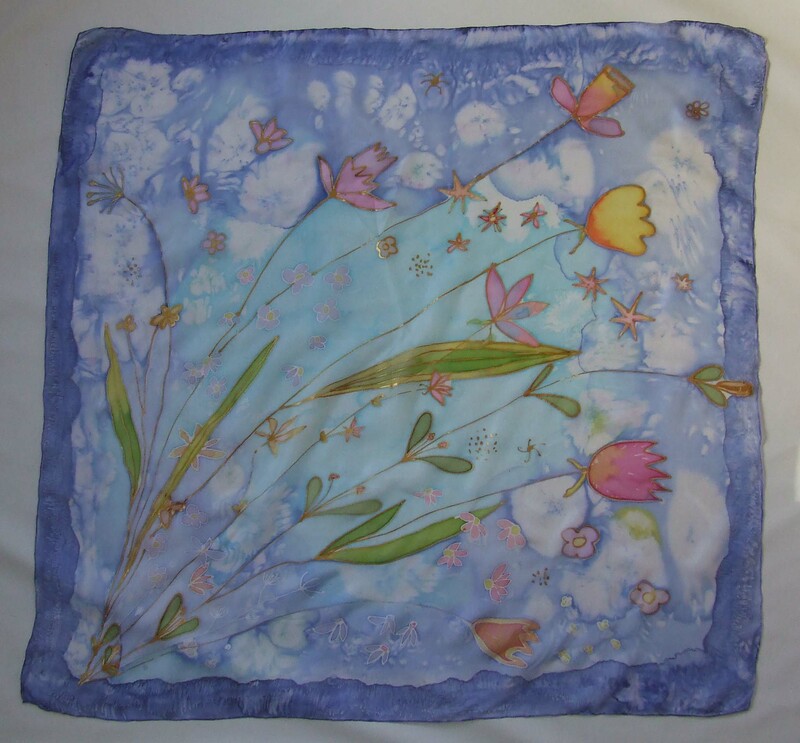 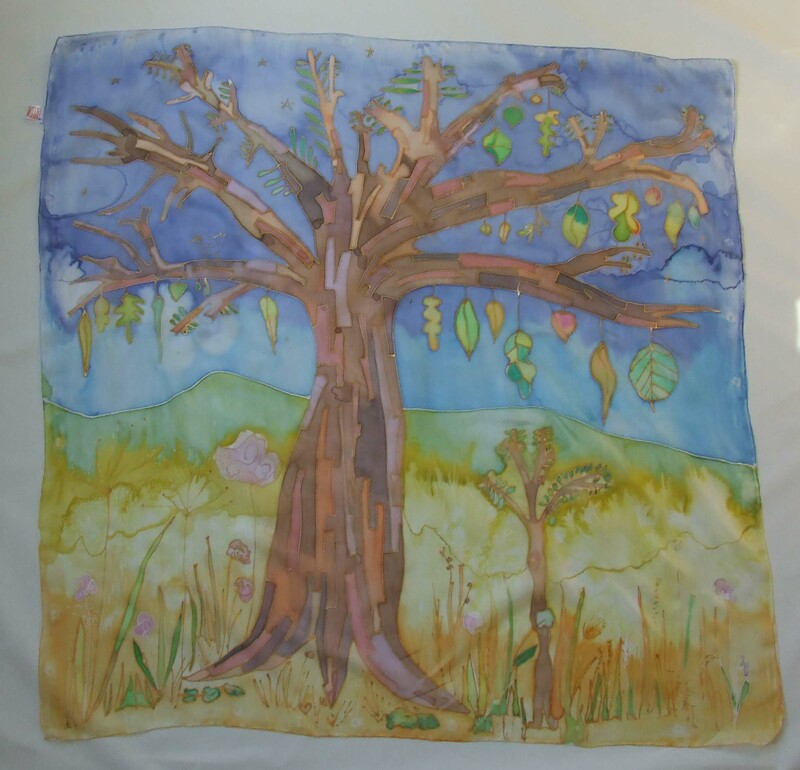 The scarves are all original designs and both scarves and paintings were inspired by places I have visited and things I have seen; such as fields of exquisite spring flowers both in this country and abroad. 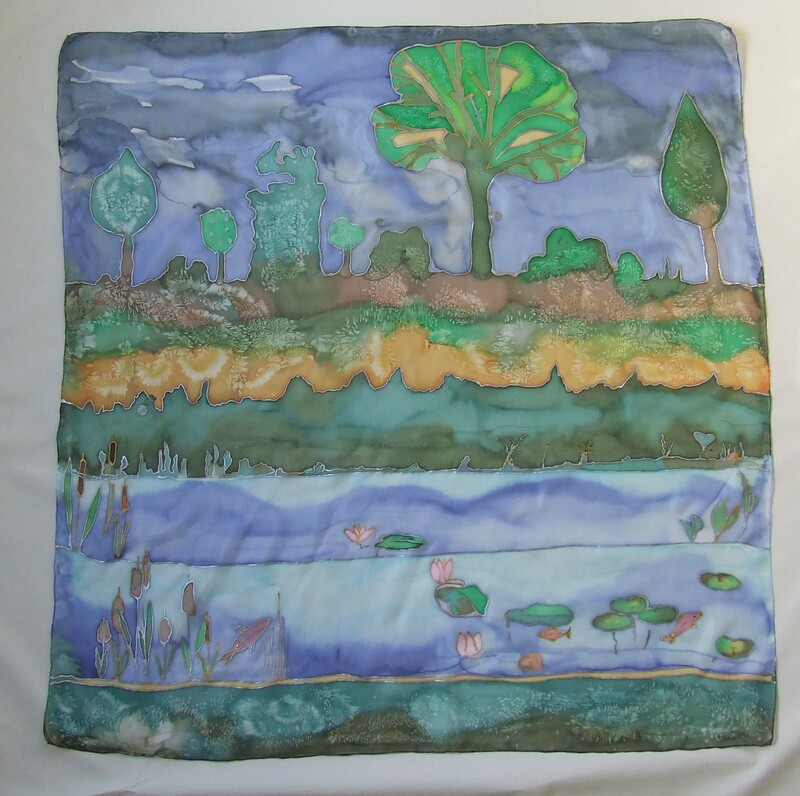 Although they are designed by me many of the pieces produced in the NCCC are collaboratively made in the waiting areas of the hospital.